Looking for a thrilling, challenging, and exhilarating family activity? 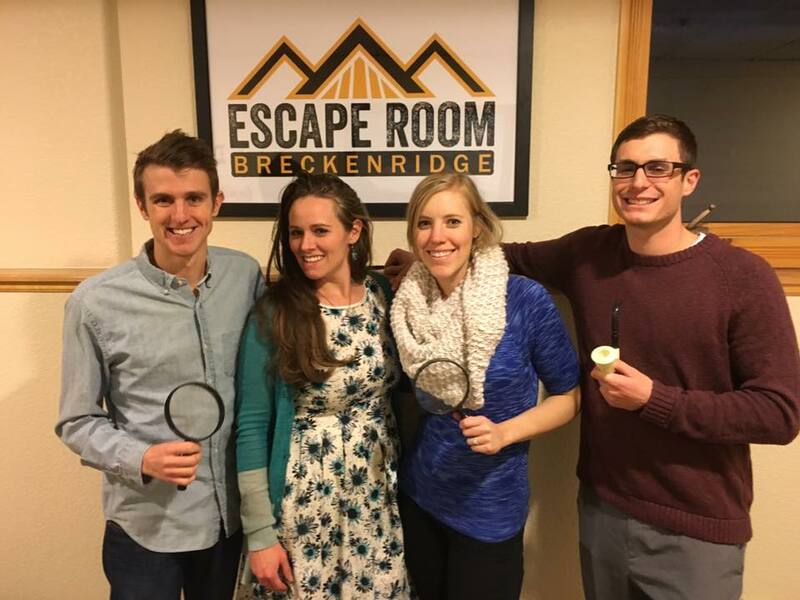 Make your way over to one of Breckenridge’s escape rooms for a heart-pounding race against the clock. Teamwork, problem solving, and quick thinking will be the only tools you have to solve the mystery before time runs out. Your group, composed of friends, family, colleagues or strangers, is locked in a room together. Your objective is to solve riddles, uncover clues, and crack codes in order to escape in time. Rooms: The Hollywood Room (medium difficulty), Secret Agent Room (hard difficulty) and Captain Steelhook’s Treasure Room (difficult and challenging). Games are best suited for children 12 and older. Rooms are made for two to ten people. If your group is fewer than ten people, you may be joined with another group. You may purchase a private room and not be joined with other parties. This is a great option for the whole family to enjoy. Take a break from the cold and see if you have what it takes to make it out in time. Contact your Activities Coordinators at activities@breckenridgegrandvacations.com for more information or to buy your tickets today!